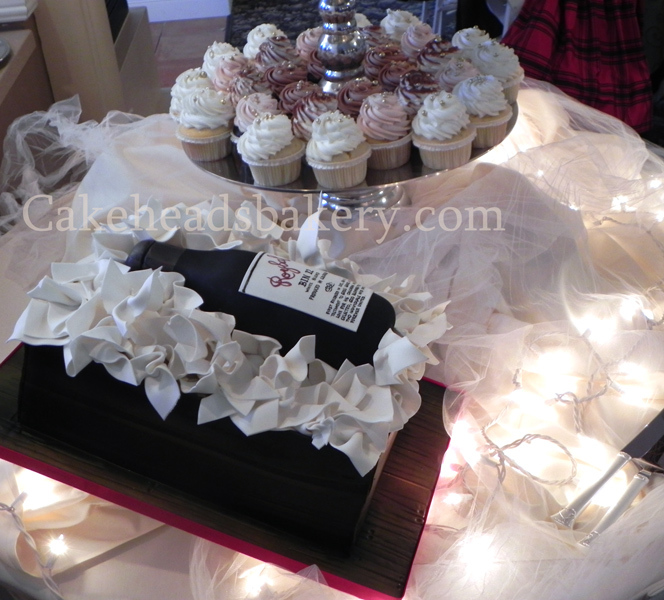 At Cakeheads we create unbelievable cakes. 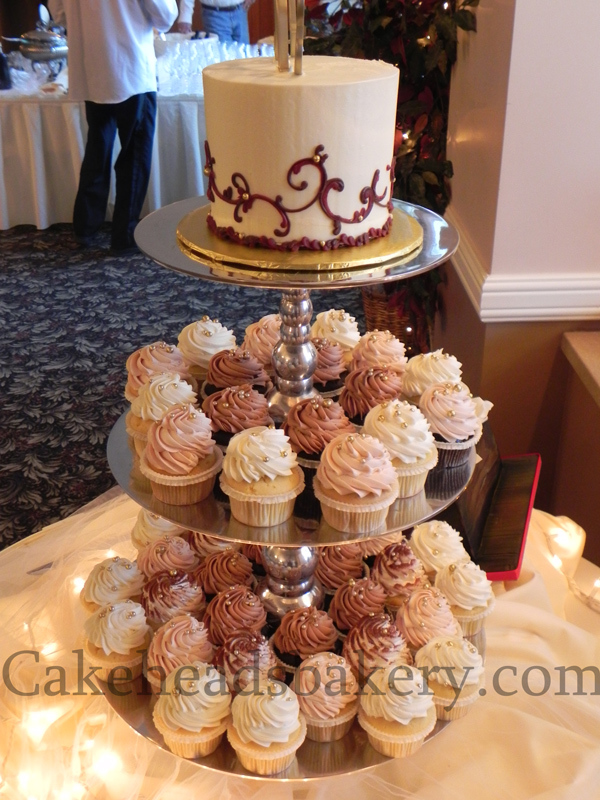 We also create beautiful cupcakes with decadent flavors such as dark chocolate with espresso buttercream, the popular red velvet cupcake with cream cheese frosting or a straightforward vanilla cupcake with strawberry buttercream. 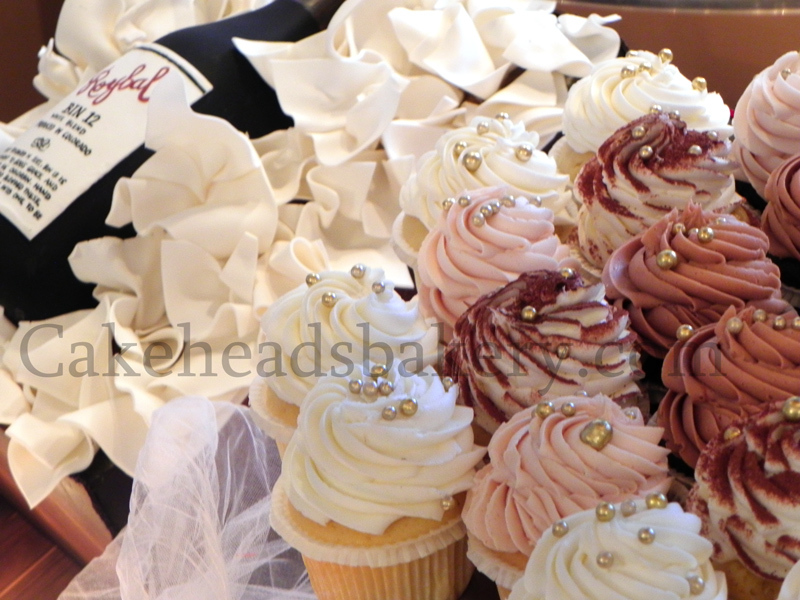 Cupcake creations at Cakeheads are as endless as our imagination, or yours. 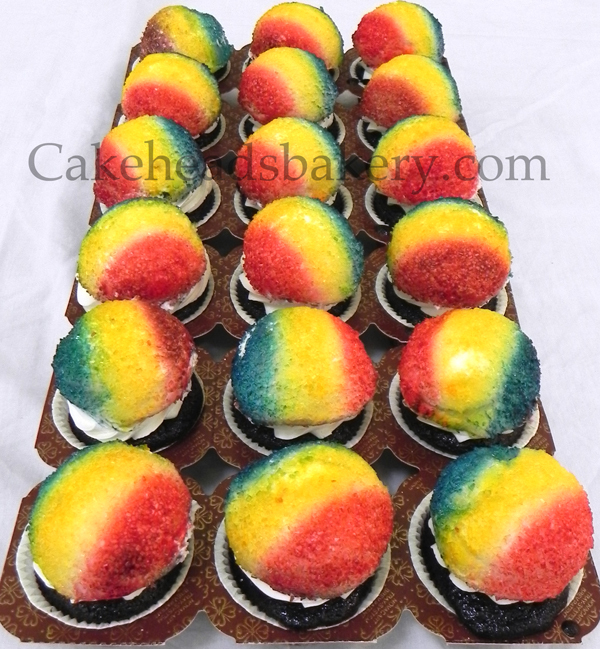 Create your own cupcake or challenge us to develop a sensational one for you. 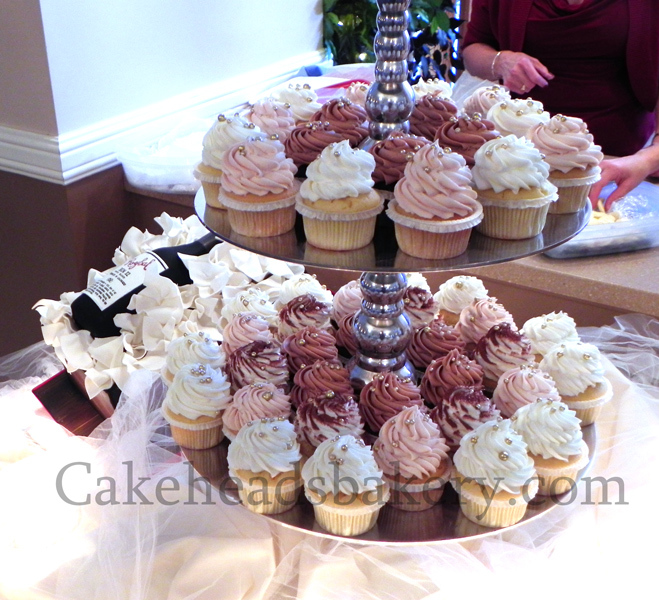 Call Cakeheads to see how far out of the box we can take your next cupcake event. 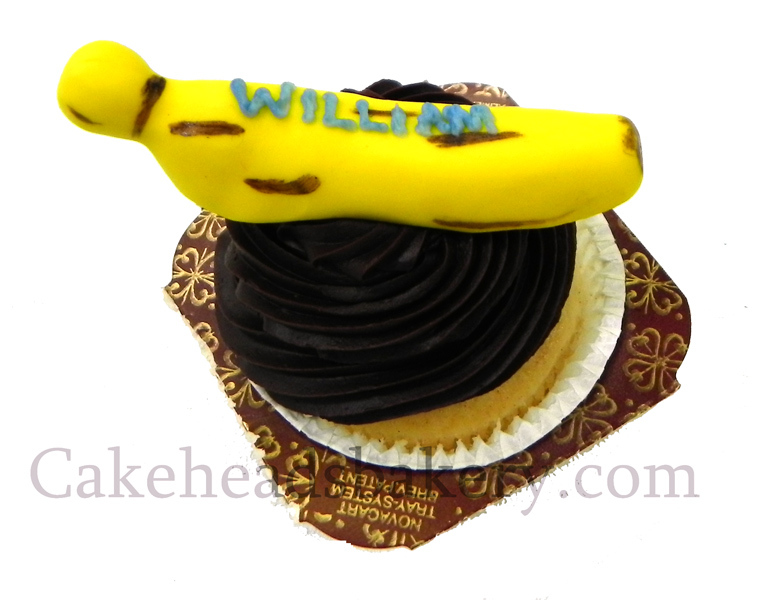 Please keep in mind that Cakeheads is a custom order bakery. 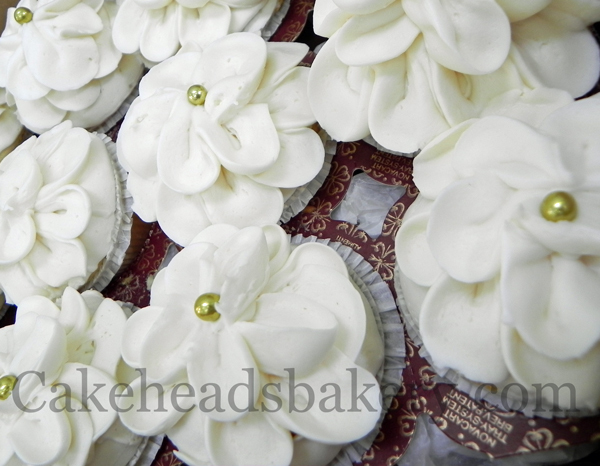 We do not have cupcakes ready to go, all orders must be placed in advance. A day or two is nice. 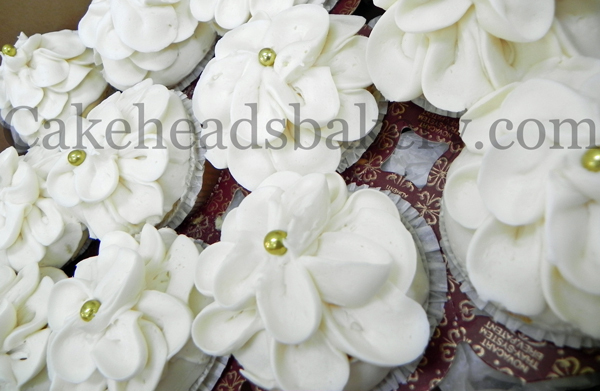 We will make every effort to accommodate short notice orders if possible.